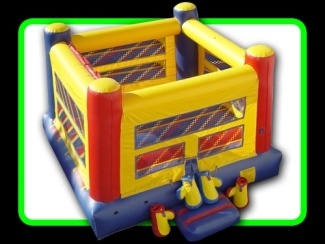 Joust Arena, Jumpmaxx joust Inflatable tests the skills of 2 people dueling on pedestals. 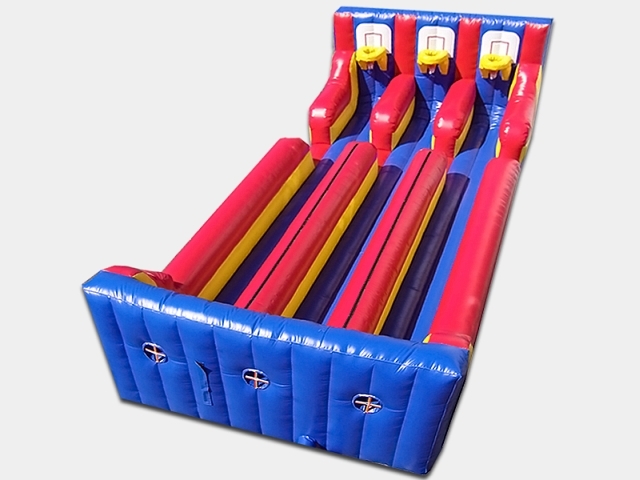 Bungee Run, This unit provides you with determination against a bungee cord testing skills against all odds to place the basketball into the hoop 35 foot away. Three lanes provided to move participants through at an accelerated rate. 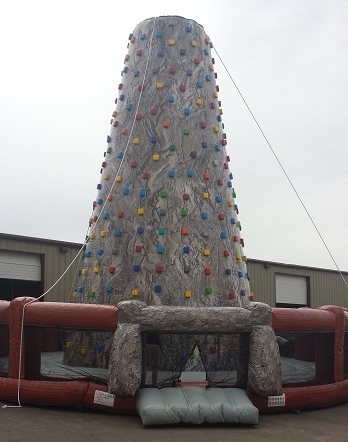 Inflatable Rock Wall, This unbelievable challenge is a vertical climb requiring skill and determination to over come. 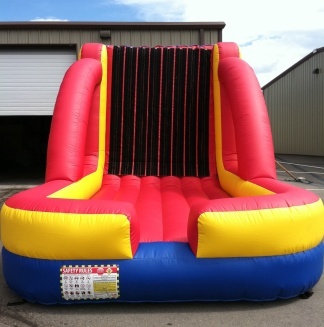 Available in 30 foot high or 40 foot high. 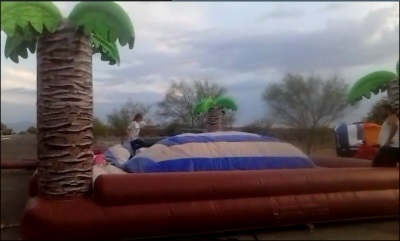 What more satisfaction can your party goers have then to overlook Tucson’s lustrous view from up high. 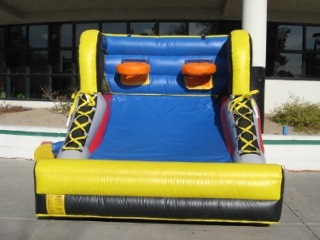 Jumping Pillow, Monstrous size jumping area available no where else in the Tucson Area. 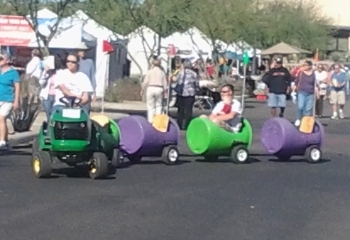 Rodeo Race, Tucson at its finest. The rodeo Race is a competition of 2 people through a maze of western themed activities. It provides competition with a western setting blending in historically to Tucson proper. Basketball Hoop, Entertainment galore 2 players competing with a 6 foot basketball hoop. Returning the balls over and over again. 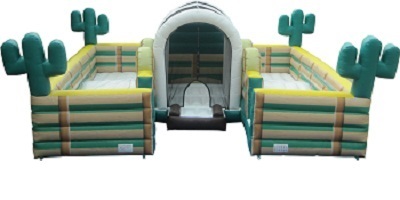 Jumpmaxx makes this unit available at discounted prices with other rentals. 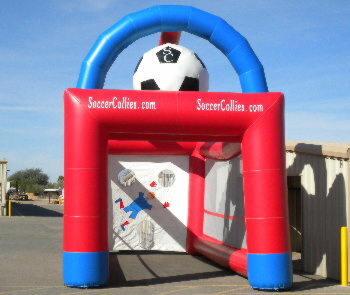 Soccer Goal, Test your skills against painted figures of goal keepers in a 20 foot enclosure. It provides great accuracy testing for your soccer enthusiast. Or practice for your novice children and guests. 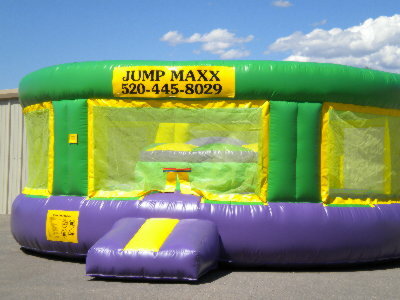 Jumpmaxx makes this unit available at discounted prices with other rentals. Dojo, A unique unit that provides never before seen test for high kicks, Low kicks, judo, karate, or samura punch, hit, kick upright targets to find tune your warier skills. Batters up, Picture your child on a plate awaiting their home run pitch. 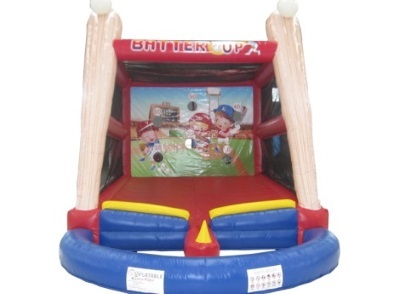 The Batter’s up floats the ball before them allowing them to swing and practice their baseball skills in a way no other juvenile batter cage can provide. 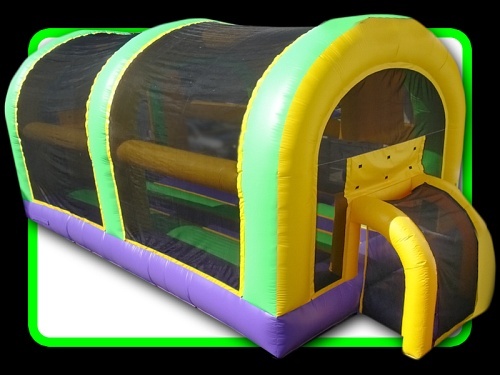 Velcro Wall, Jumpmaxx provides an upright 10 foot high sticky wall, velcro wall, allowing your children to sense floating in air held in place on a vertical wall. 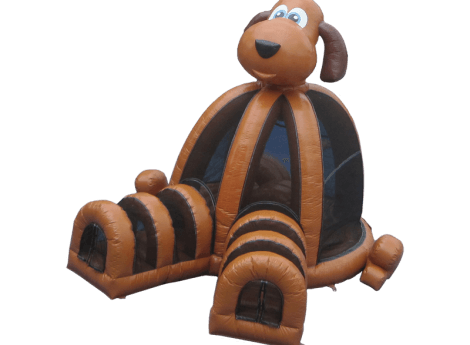 Trackless Train, Never before has Jumpmaxx seen children entertained by the moving free driving ride in a train giving each child hours of entertainment. 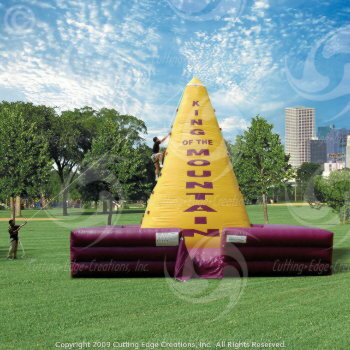 That can only be exceeded by the imagination of where they have been at your event or party. Our drivers look for stimulating paths to motivate your guests imaginations. 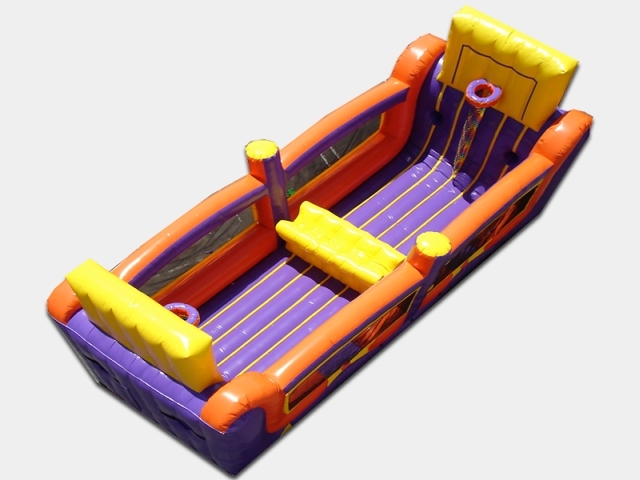 Sports are a great entertainment each of these inflatables provides hours of fun and challenge. 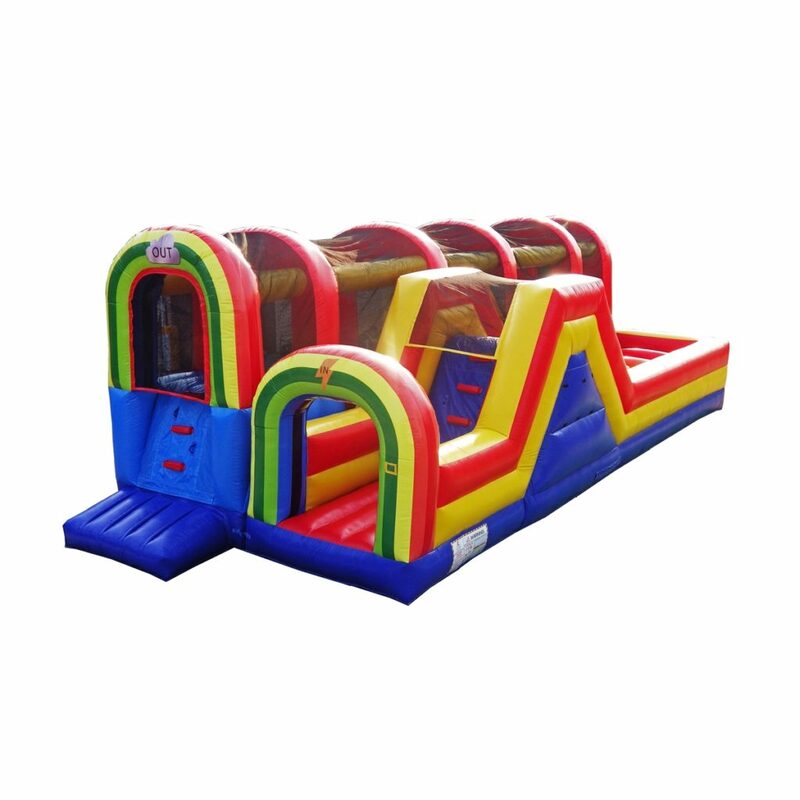 We are always looking for interesting and exciting ways to make your party great. 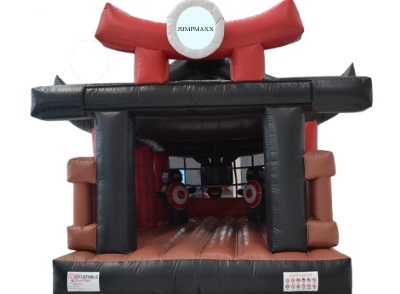 Jumpmaxx wants to be your CASTLE COMPANY. Join our mailing list to receive the latest specials, news, and updates from our team.